Take the Plunge: Go Beyond Your Sector! Do these sentiments sound familiar? I don’t want to settle for just one career path or industry. I want to make an impact outside of my current area of specialty. For one, they can be recited by my friends, who are victims on the receiving end of my existential-crisis-induced rants. After all, aren’t we proving Marx right when he said that alienation comes as a package with specialization? My fellow classmates of 2017 might surely be tempted to dive into the industry of their specialty when we walk out of Berkeley with our degrees next May. But what if we – dare I confess – struggle to squeeze ourselves into the stiff hierarchal box that is corporate structure, where out-of-the-cubicle ideas might only be dismissed as inefficient and distracting? Or worse – jeopardize our careers if we invested in interests outside our major fields, developed them ambitiously, treating them as something beyond hobbies? Luckily, there are leaders who have paved way for untraditional career trajectories. I interviewed Dr. Sandhya Sriram, co-founder and director of the virtual newsroom Biotechin.Asia, Research Fellow at SBIC, A*STAR and Vice President of A*STAR postdoc society (A*PECSS), for some non-conformist career life-hacks. Sometimes it’s easy to get lost in the minute details of a project or routine work – we forget to ask: where do we fit in in the bigger picture? Imagine you’re a scientist: within the community, your life is expected to revolve around your research. But, even as a busy and prominent biologist, Sandhya took time to take a step back from the lab and identified a problem extending beyond the world of academia. Namely, the tendency of mainstream media to mislead us on scientific findings. On one hand, over-sweeping statements are not doing scientists’ work justice; on the other, the public deserves an exciting yet accurate update on biotech advancements we can expect to inexorably affect us in the next century. But to Sandhya, the communicative gap doesn’t only exist between academia and the public. In fact, the monolithic “biotech” industry houses a multitude of sectors that may be working towards similar goals but remain largely disjointed from each other. Combining her passion for healthcare, penchant for writing and the wonderful support of her two friends, colleagues, housemates, Dr. Laxmi Iyer and Dr. Prasanna Kumar Juvvuna, who have similar passions, the team’s thinking in between the lines sparked the idea of a platform in 2014. While healthcare impacts virtually everyone, and the biotech industry is hard at work but disjointed, it seemed clear what was missing at the intersection: the circulation of information. Thus, the team’s idea culminated into the online news portal, Biotechin.Asia. Run by their Singapore-based company Biotech Media Pte. Ltd., Biotechin.Asia has garnered a wide audience-base from over 170 countries, providing daily and quick-to-read articles in layman’s terms. Like many great endeavors, Biotechin.Asia was not an overnight success. What started as a small WordPress blog between three best friends and scientists could’ve stayed small. Curious, I asked Sandhya what was the catalyst that launched the site into popularity. Commit. In hindsight, I realized this pivotal decision to give the blog the same ambition one would bring to a regular day job was what transformed a hobby into a full-fledged job. And that commitment was what bound the three co-founders of Biotechin.Asia into writing at least three articles a day, for four months straight – no matter how tired their day jobs at the lab left them. It was not long until the community grew to encompass over 12,000 entrepreneurs, academics and industry professionals, alongside a team of 50+ committed writers. The site is not only a resource for news, but also one for networking. BEFORE YOU RACE OFF. . . Even though Sandhya’s story is one of success, of how a scientist has made impact at the intersections of journalism and entrepreneurship, there is no doubt that similar deviations from conventional career paths face hardship. On top of Biotechin.Asia, Sandhya is the Vice President of A*STAR postdoc society (A*PECSS), where she advocates for career development of postdocs and early-career scientists, which includes suggesting alternative careers for scientists who do not want to stay in academia or industry. Not one to be complacent, she is also spearheading a video series, “SciWOW – WonderWomen in Science” (to be featured on Biotechin.Asia in September), and a new exciting platform that will be revealed in the near future. Amazed, I asked Sandhya what practical strategies she has used to take these risks, all the while multitasking. On the topic of time management, Sandhya stressed, “You have to know when to say ‘no’ and prioritize.” For every opportunity that knocks on your door, it is imperative to step back and reevaluate what else you are giving up. Although Sandhya does not work full-time on Biotechin.Asia, she has incorporated what was once a hobby into her career. To ignore society’s convenient label of you as a noun – a lawyer, consultant, doctor – and to design your own multi-faceted career, is to acknowledge more than just one ambition. She proudly describes herself as a scientist-entrepreneur-journalist. To my friends and fellow class of 2017 – future accountants who want to contribute to social entrepreneurship; dentists who want to sing; biologists who want to write – this serves as my optimistic encouragement to us. Just because we need to survive through conventional means doesn’t mean other interests and endeavors shouldn’t – in fact, they can thrive unconventionally. As a frustrated biomedical engineering student, Max Hodak came up with one idea that could “shake up science“ itself. His idea was simple but ambitious: to revolutionize the way basic science research is done by making it cheaper, faster and more accessible. To Hodak, this means bypassing the drudgery of repetitive lab work and letting scientists focus on the intellectual work behind scientific discoveries. 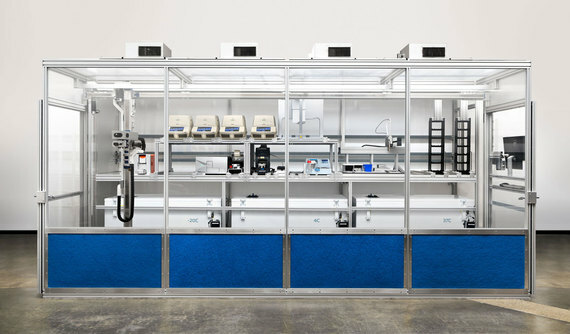 This idea culminated into the Google Ventures-backed, $14-million-funded “robotics cloud laboratory” Transcriptic, whose warehouse in Menlo Park, California houses robots that perform life sciences experiments. The startup promises to bring “your lab to the cloud”, and scientists who want to test their research but hope to spend less time on repetitive testing can pay Transcriptic to perform their experiments for them. So why are scientists excited about this? “When I was doing my PhD, most of it was lab work – six months into it, I knew I didn’t want to spend the rest of my life in a lab,” confessed Yvonne Linney, who has a PhD in Genetics and serves as Transcriptic’s COO. Those of us who do not spend our days tinkering with test tubes in the lab might be tempted to think that Linney’s problem does not apply to us. However, the fact that leaders in academia and pharmaceutical corporations all face the same issue means important advances related to our health are potentially thwarted – partly because of inefficiencies that have remained an unquestioned staple of laboratory work for many years. The cure for today’s most malignant diseases could be just around the corner, so how can we help scientists find them quicker? According to the Transcriptic team, it’s robots. 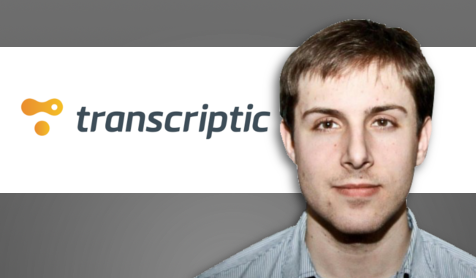 With a combination of equipment that the team has built themselves and purchased, Transcriptic’s robots perform programmable, reproducible, and accurate experiments that yield quick results. Scientists, academics, even students can design their own protocols, pay for device time, and have their projects carried out without the need to purchase a single equipment. Living up to its mission statement of efficiency, Transcriptic also cooperates with other companies that also streamline experiments. For example, Transcriptic works with Desktop Genetics, a company that develops operating systems for users to design genome engineering experiments on their laptops, which would then be automated in Transcriptic’s warehouse. In early 2016, the Siegel Lab at UC Davis published a peer-review study crediting Transcriptic for generating the largest dataset of its kind on computational enzyme design. This was also the first publication to show that using a cloud-based lab, as opposed to running each time-consuming experiment by the researchers themselves, has helped overcome an experimental bottleneck. Moving forward, the Transcriptic team intends to focus on aspects of life sciences that can benefit most from fast and large sets of data. Guest piece co-written with Jason Choi, published on Huffington Post and Breaking Hoops.